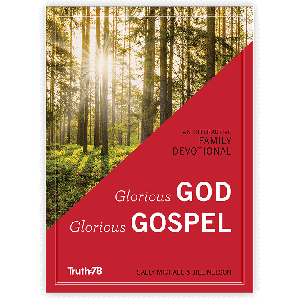 Glorious God, Glorious Gospel has been developed as a family devotional for parents to use with their children to ground them in the essential, foundational, and glorious truths of the Gospel. 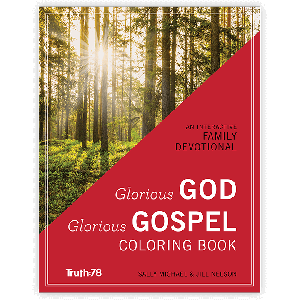 Glorious God, Glorious Gospel is a 15 chapter family devotional for parents to use with their children to ground them in the essential, foundational, and glorious truths of the Gospel. 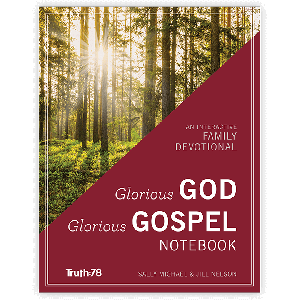 As your family studies Glorious God, Glorious Gospel, this notebook will engage and equip your elementary students to participate in the devotional. During the Instruct the Mind portion, it highlights key truths and includes Scripture texts for students to read, observe, and interact with. Prompts provide space to record thoughts from the Engage the Heart discussion time as well as a chance to think and pray about ways to respond to God’s Word through a practical action step as you Influence the Will. Why do I exist? How am I to act toward God? What is my greatest problem and need? What has God done to solve this problem? How should I now live? Introduction for Parents: For parents' own spiritual benefit and preparation. Pique Their Interest: A brief hook to grab your child's attention and direct their thinking. Instruct the Mind: Teaching material you will read to present biblical truth to your family. This section can take 5-1o minutes depending on discussion. Engage the Heart: These conversations help your family interact with the spiritual truth, identify how it applies practically to everyday life, and aids parents in understanding how to engage children in spiritual discussions. Influence the Will: Help your child to decide on a practical, concrete action step so he can learn to be a doer of the Word. Family Worship Time: A hymn is recommended with each chapter for your family to study and sing.